The vets of Jurassic Park were charged with the health and well being of the park’s attractions, the dinosaurs. Should an animal become ill or injured it fell under their care. 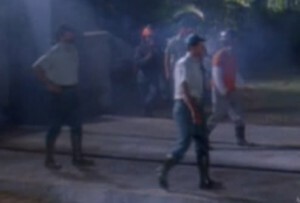 Two park vets were present during the incident in which a worker was seriously injured by a Velociraptor at the Raptor Pen and the lead vet, Dr. Gerry Harding, was present at the site with the sick Triceratops.